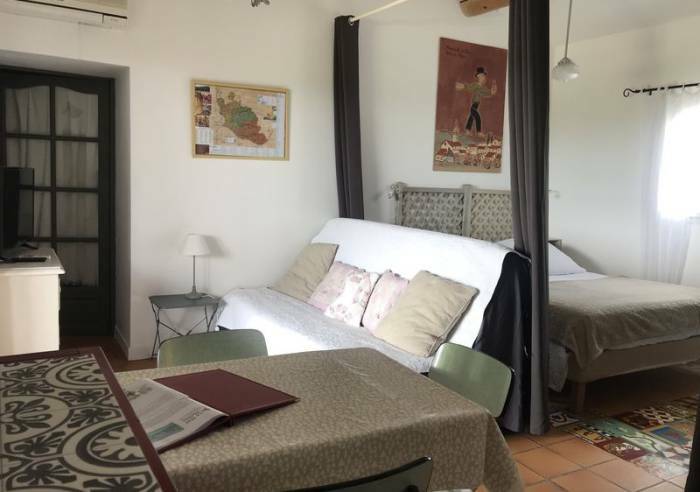 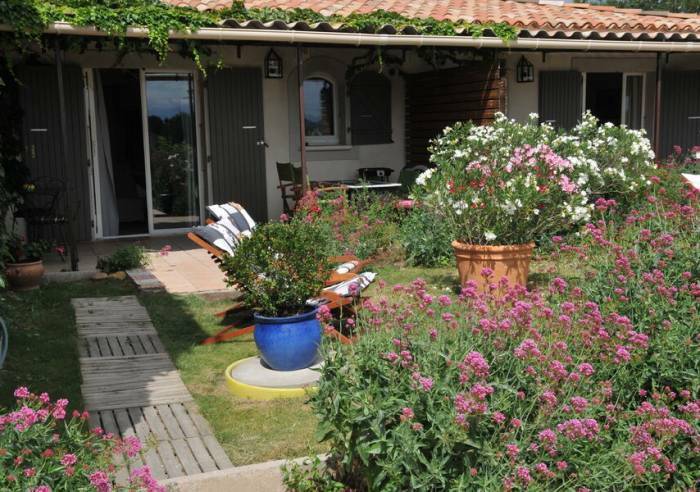 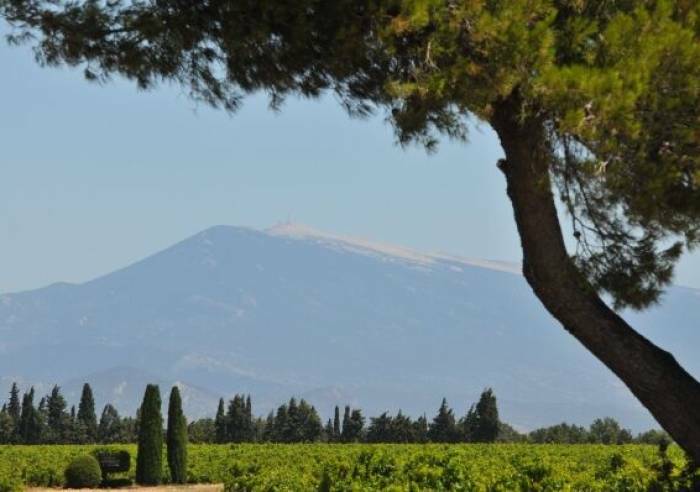 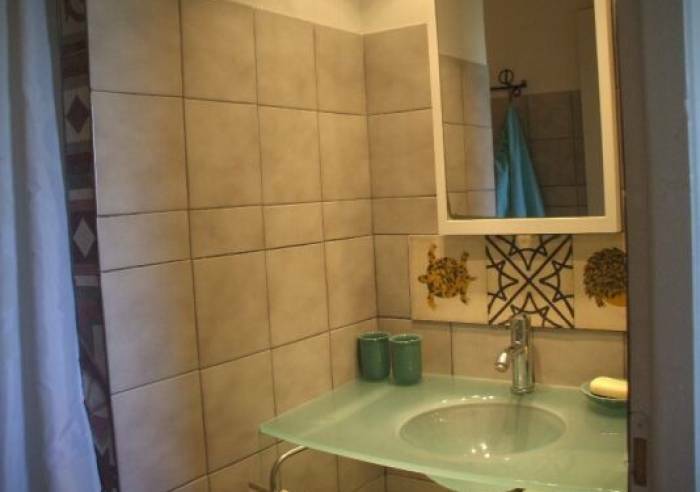 In the vines, nature, countryside, sun, peacefulness, pool, with a view of Mont Ventoux and Dentelles de Montmirail mountains: The ideal setting is waiting for you, do not hesitate any more, this is where you want to be. 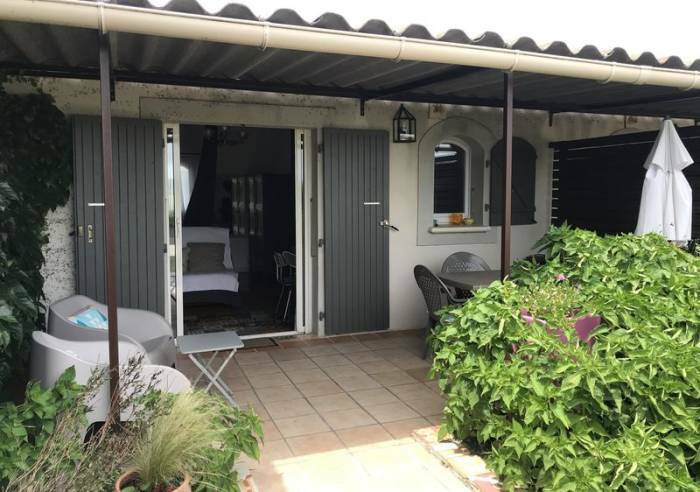 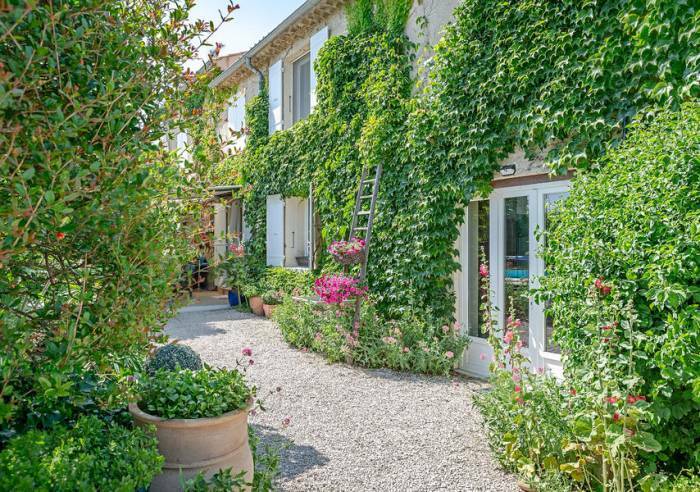 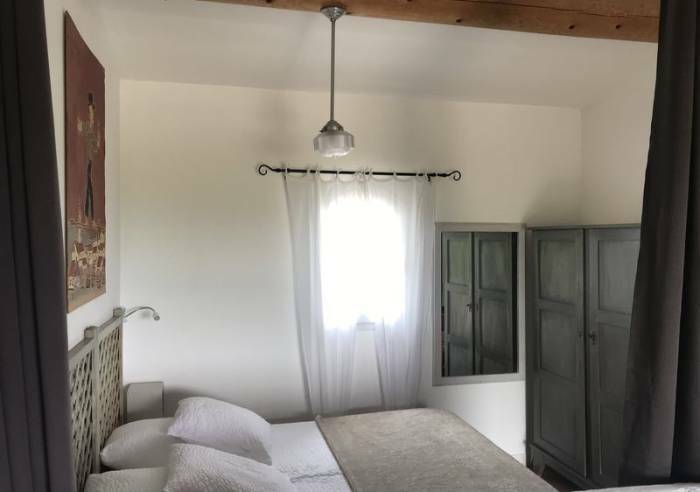 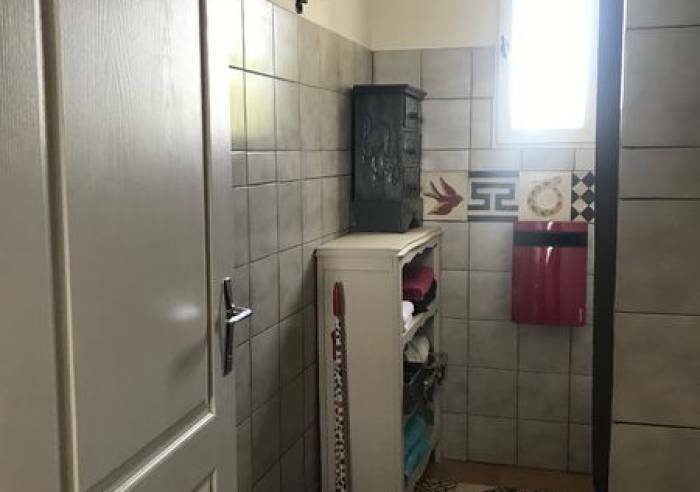 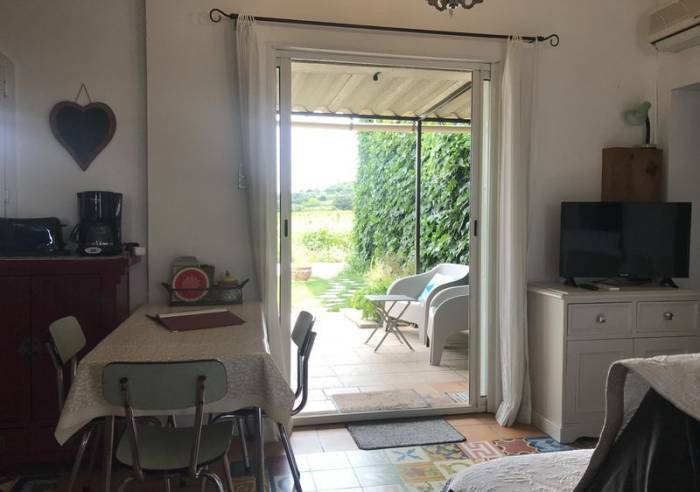 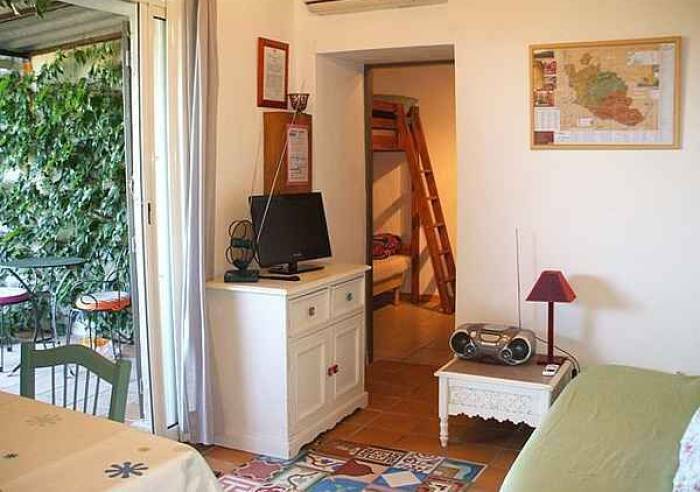 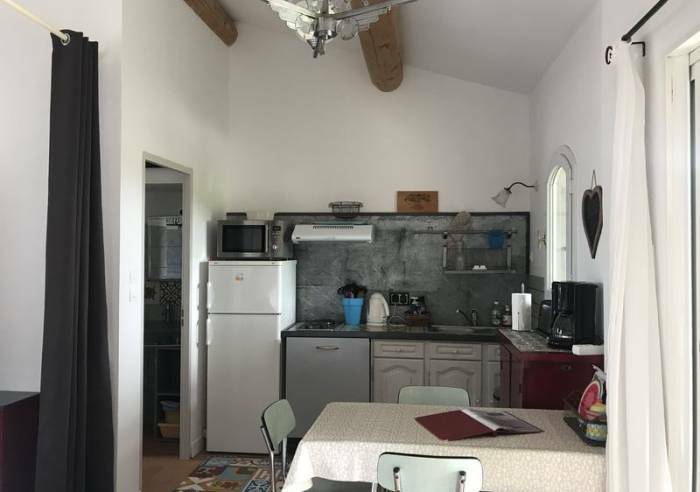 This new and cosy studio in Provence has an intimate terrace with arbour, attached to another studio and the owners' traditional farmhouse. 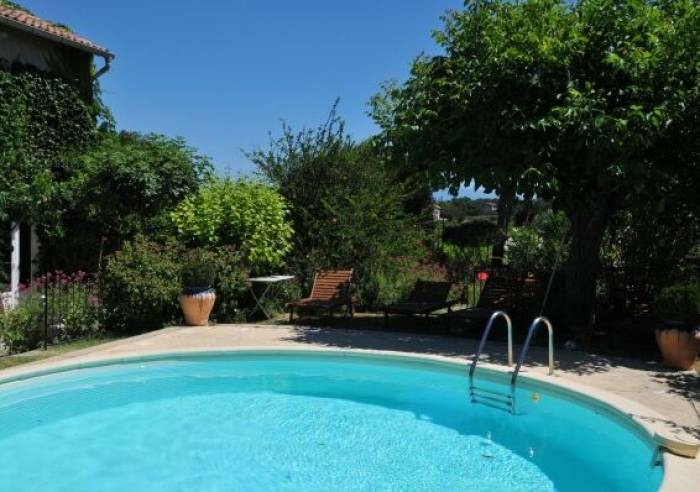 Communal pool 5.95 m diameter, 1.50 m depth in a magnificent flowered garden. 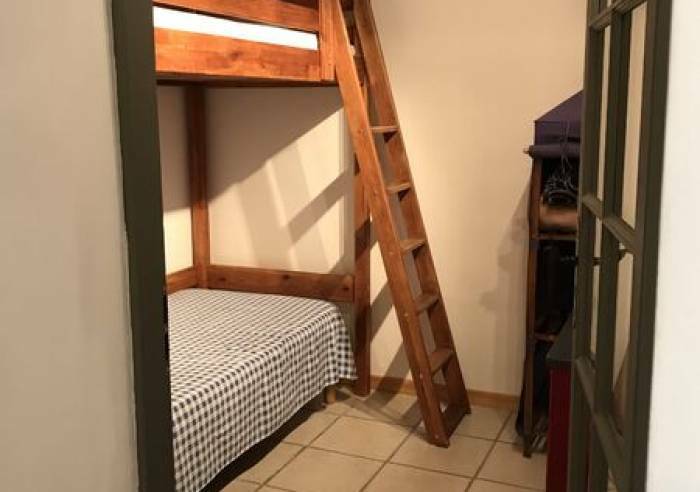 Vacuum cleaner, No-smoking, Heating, Baby equipment, Wi-fi, Free private internet access, Comfort bedding, Air conditioning, Freezer, kitchen corner, Double glazing, Shower, Sheets and towels included, Oven, Communal washing machine, Dishwasher, Fridge, Hair dryer, Communal drier, Television, 1 shower room, Sofa bed, Hi-fi system, Cooker hood, Microwave, Living room, Ironing facilities, Bed 160 cm, Baby bed, Baby chair, Baby bath Close to owner, Sports hall, Living room, Shady grounds, Air conditioning, Launderette, Car park, Separate entrance, Detached accommodation, Swimming pool, On the same level, Games room, Garden, Shared garden, Separate garden, Open air swimming pool, Board games, Terrace, Covered terrace, Shady terrace, Heated swimming pool, Private parking, Garden room, Barbecue, Shared swimming pool Cleaning with supplement, Tourist brochures, Cleaning/housekeeping at end of stay, Beds made on arrival, Pets welcome.